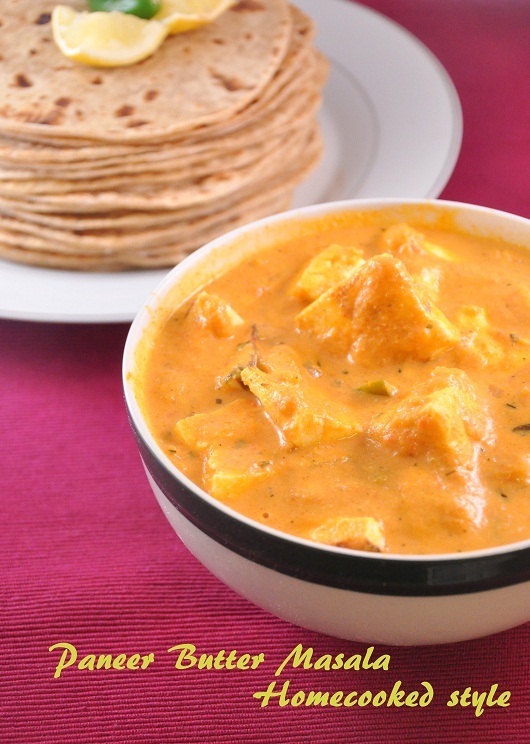 I have already posted a recipe on Paneer Butter Masala - restuarant style. Though it is a fool proof recipe and tastes great, I prefer to make it with fresh ingredients for every day cooking.My daughter loves paneer and I make this dish almost every alternate week end. 1) Grind together tomato and ginger. ur remtping me vth ur pics dear..super yummy n perfect 4 parties.best combo vth rotis!! Love the creamy paneer in sauce.hope u liked it. love the creamy yummy dish,. Rich and delicious gravy.. My all time favorite..